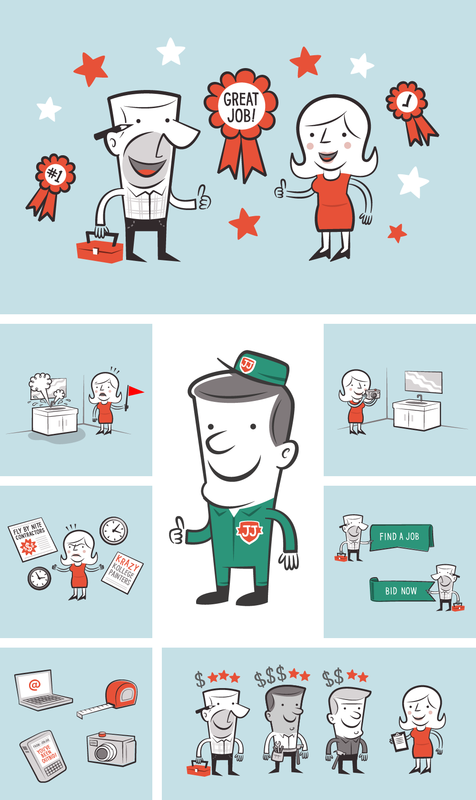 Job Jar is a website where tradespeople can bid on jobs posted by users. They hired me to create a library of characters which were used to illustrate how the site works, and serve as general mascots for the brand. The client is a fan of mid-century modern cartoons and animation, so that style served as a starting point for the look and feel of the characters.